The list showed positive emojis were used most this year. Mobile developer Apalon has announced the top 10 emojis of 2015, based on data from its Emoji Keypad app on iOS. The data showed positive emojis are the most popular with users, with the ‘face with tears of joy’ emoji coming in at the No. 1 spot. 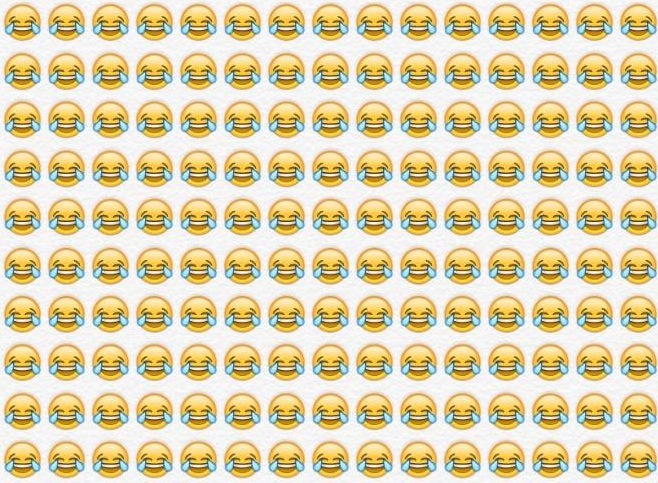 This same emoji was recently selected as the ‘word of the year‘ by Oxford Dictionaries. This emoji was followed by the ‘smiling face with heart-shaped eyes,’ the thumbs up, the ‘face with stuck-out tongue and winking eye,’ and the clapping hands emojis in the top five. While nine out of the top 10 emojis can be considered positive, with themes like love and laughter, the ‘pensive’ emoji is the exception at the No. 10 spot. Over the last year we’ve seen emojis become one of the most popular forms of self-expression, and it’s great to see that the majority of icons used are to share feelings of love and encouragement, whether it’s through the emoji ‘with heart-shaped eyes’ or the ‘thumbs up’ emoji. The growing popularity of emojis has seen companies begin to integrate these icons into their marketing strategies. For instance, companies like Coca-Cola and Toyota have included branded emojis in recent campaigns on Twitter. Readers: Which emojis did you use most this year?